CHANDIGARH: The Malwa region of Punjab has been put on high alert on Thursday after Kashmiri terrorist Zakir Musa was spotted in the area wearing a turban. The Indian army has already been alerted. Sources said that the central intelligence agencies have issued an input that Musa who is the chief of the Ansar Ghazwat-ul-Hind (the al-Qaeda cell in Kashmir) might be in Bathinda and Ferozepur areas and is disguised as a Sikh. His other connection of the state is that he had studied at a private engineering college in Mohali in 2010. He left the institute in 2013 after failing his exams and joined the militants' ranks in Jammu and Kashmir. It is believed that Musa is helping some modules of Khalistani militants’ to revive terrorism in the state and he is helping them to set up bases this nearly three weeks after the Amritsar grenade attack, said sources. Thus now the Punjab Police had put up wanted posters of Musa including one of him disguised as a Sikh. His posters were put up in Gurdaspur and Amritsar districts last month following similar reports that he could be hiding in those areas. Army personnel have been deployed at Bathinda railway station and have been asked to stay alert in the border districts. Also, police have set-up nakas at various places to keep a tab. 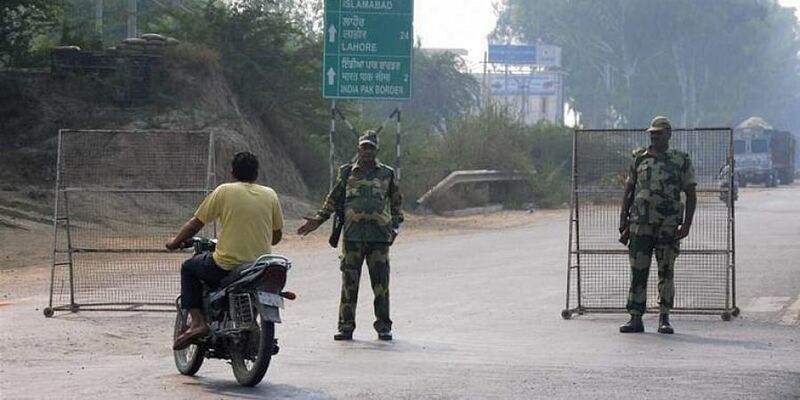 Sources said that the Punjab Police in Ferozepur searched around 2.50-kilometre area from Mumdot police station to small hamlet Basti Gulab Singh Wala on the India-Pakistan international border and also rounded up some suspects who were later released after verification and questioning. teams of Punjab Police are doing special search operations in the area," said a police official. DGP (Law and Order), Punjab, Hardeep Singh Dhillon said," after the intelligence alert we have mobilised additional force thus a strict vigil is being kept and checking is going on and various police parties have been formed." "The interstate border with Rajasthan has been sealed due to elections there and the intelligence inputs and nakas put all vehicles are being searched," said MS Chinna Inspector General of Police. (Ferozepur Range). Musa had succeeded Burhan Wani as the chief of the terrorist organisation Hizbul Mujahideen following Wani's death in an encounter with security forces in Kashmir in July 2016.